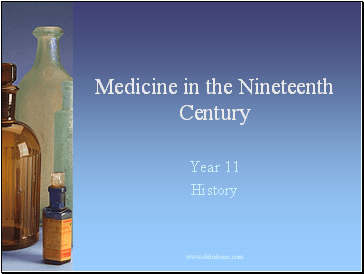 The nineteenth century was one of the most important eras in the history of medicine as many new cures and technologies were discovered. 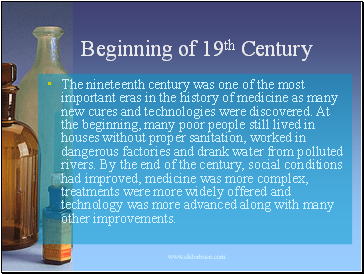 At the beginning, many poor people still lived in houses without proper sanitation, worked in dangerous factories and drank water from polluted rivers. 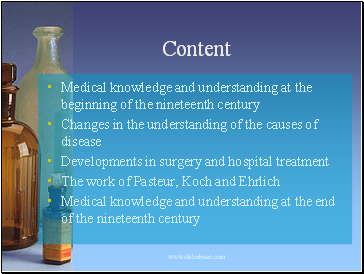 By the end of the century, social conditions had improved, medicine was more complex, treatments were more widely offered and technology was more advanced along with many other improvements. 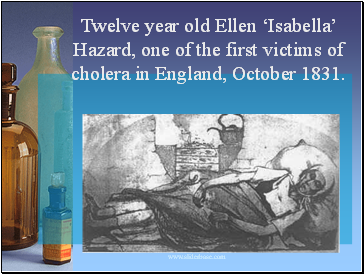 Twelve year old Ellen ‘Isabella’ Hazard, one of the first victims of cholera in England, October 1831. 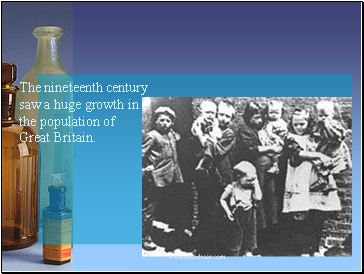 The nineteenth century saw a huge growth in the population of Great Britain. The reason for this increase is not altogether clear. 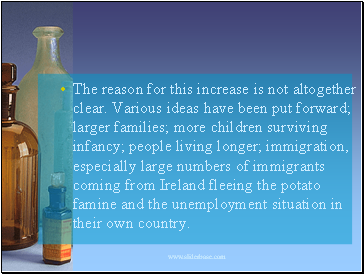 Various ideas have been put forward; larger families; more children surviving infancy; people living longer; immigration, especially large numbers of immigrants coming from Ireland fleeing the potato famine and the unemployment situation in their own country. 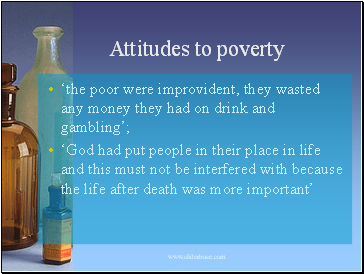 Children were expected to help towards the family budget. 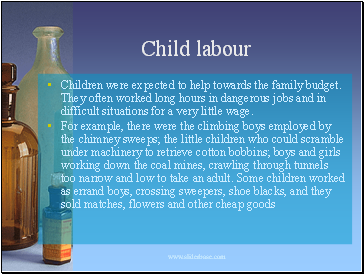 They often worked long hours in dangerous jobs and in difficult situations for a very little wage. 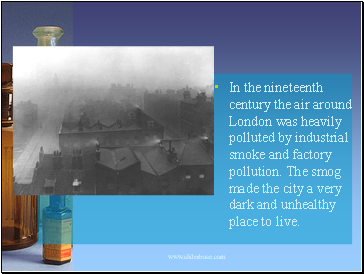 In the nineteenth century the air around London was heavily polluted by industrial smoke and factory pollution. The smog made the city a very dark and unhealthy place to live.